Norwegian University of Life Sciences is to receive NOK 16 million for testing malaria mosquito nets in Africa. 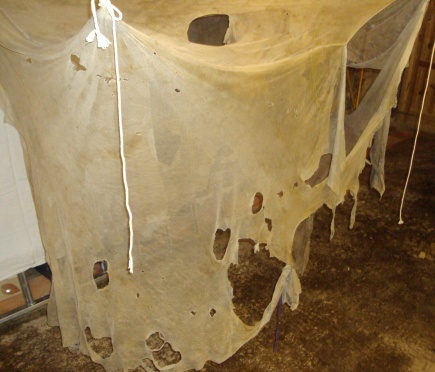 - There are many different types of impregnated mosquito nets on the market. These are made of different materials, impregnated with different kinds of insecticides, different methods of impregnation, and the claims of the lifespan and duration of nets vary. It is important to inform decision makers of best practices for maintaining high and cost-effective net coverage to maximize current gains in malaria control. This will facilitate for the national malaria control programs to plan when old nets should be replaced and new nets procured, says Overgaard. The project is collaboration between three partners in Tanzania, the National Malaria Control Program, the National Institute of Medical Research, Ifakara Health Institute, and one partner in the UK, London School of Hygiene and Tropical Medicine. The project officially began with a kickoff workshop in January 21-23, 2013 in Bagamoyo, Tanzania. - This study investigates LLIN effectiveness by measuring attrition (presence/absence), bio efficacy, chemical content and physical degradation in Tanzania. The project will be carried out in 10 representative districts in the country, reflecting malaria prevalence, ecology, altitude, inland/coastal, and urban/rural areas. In each district 10 villages will be selected and in each village 45 households, explains Overgaard. - We will use a two-stage approach: Firstly, LLINs from recent net campaigns will be evaluated retrospectively. The sampled households will then be provided with one of three leading LLIN products and followed up for three years in a prospective study to compare the performance of the LLIN brands in vivo. 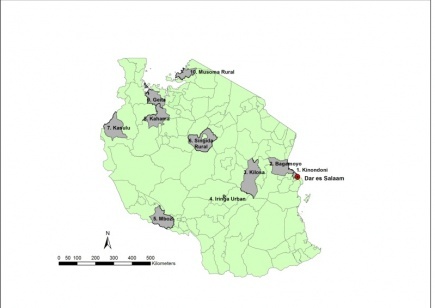 We will also develop a GIS-based network to understand potential spatial reasons for net loss and deterioration; to monitor insecticide resistance and to show malaria incidence data collected from local health centers and national surveys. - We are bringing together a highly skilled multi-disciplinary team that will support Tanzanian vector control both now and in the future through the training of two Tanzanian PhD students. 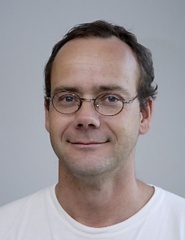 We are the first team to conduct a geographically representative study of LLIN use and efficacy using WHO-recommended methodologies and large sample sizes determined by robust statistical methods with independent data quality assurance, says Overgaard. The data collected will be of importance to policy makers and vector control specialists both in Tanzania and the SSA region. The project is called ‘The useful life of bednets for malaria control in Tanzania: Attrition, Bioefficacy, Chemistry, Durability and insecticide Resistance’ (ABCDR) and is funded by the Global Health and Vaccination Research (GLOBVAC) program of the Research Council of Norway. More information about this and other projects!